An independent analysis has revealed the data showing that federal regulators approved U.S. pipelines providing capacity more than double consumption. The report provides support to those challenging pipeline approval and the use of eminent domain power as lacking the required public need. Challenges to pipelines based on a lack of a public need have improved, albeit still limited, chances of success. Charges that the U.S. pipeline industry is building far more natural gas pipelines than it needs are being fueled by a new report showing that the capacity of lines approved by federal regulators over the last two decades was more than twice the amount of gas actually consumed daily in 2016. Property owners threatened by the Susquehanna Thruway will be able to learn the status of their property on November 15, 2017 when PennDOT reveals the new route at a public meeting. Faherty Law Firm attorneys will attend the meeting and be available to answer questions. The Pennsylvania Department of Transportation has announced the new alignment it prefers for a 2-mile section on the Central Susquehanna Valley Thruway in Snyder County. PennDOT was forced to find a new path for part of the U.S. 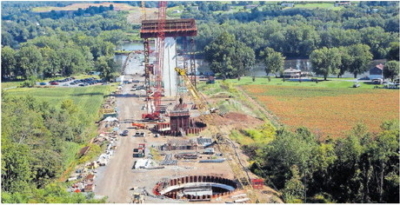 Routes 11/15 bypass of Shamokin Dam and Hummels Wharf after discovering the limited-access highway could not be built over two fly-ash basins. It studied three alternatives and said it is recommending the route that passes east of the basins. It has the least impact on homes, farm land and noise levels, it says. It will require taking seven additional residences, said Matt Beck, assistant plans engineer. 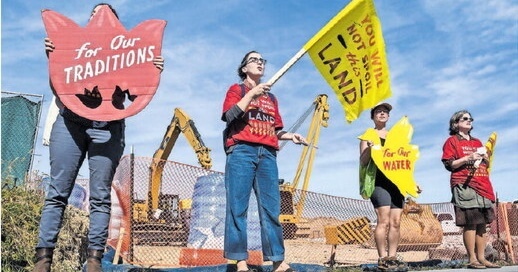 Environmental groups were able to convince a Federal Court to stop construction while environmental concerns were considered. The U.S. Court of Appeals for the District of Columbia ended the stay. This allows construction to be restarted. 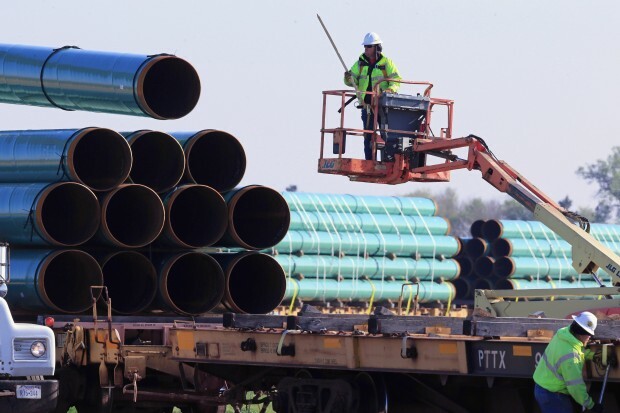 Construction of the Atlantic Sunrise natural gas pipeline will resume today. That was the comment from Williams Partners on Wednesday night after the U.S. Court of Appeals for the District of Columbia dissolved the administrative stay it had issued Monday. 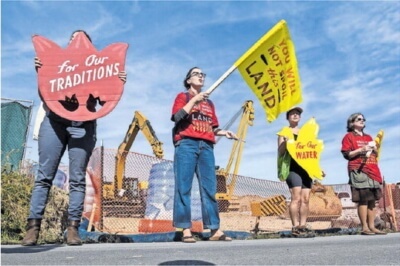 The court’s one-page order states the seven environmental groups that wanted to stop the pipeline project had not satisfied the stringent requirements for a stay. A three-judge panel had issued it saying the court needed time to review the environmental organizations’ contention the Federal Energy Regulatory Commission’s review of the project did not meet the standard for evaluating greenhouse-gas emissions.